The beginning of the new century meant new and exciting changes for Potomac lodge. By 1910, the first recorded use of automobiles for masonic funerals was recorded and lodge recovered old minute books and furniture used during its first iteration as a Maryland lodge include chairs and a desk used by President George Washington. In 1923, Potomac accepted an invitation to participate in the cornerstone laying ceremonies of the George Washington National Masonic Memorial at Alexandria, Virginia. 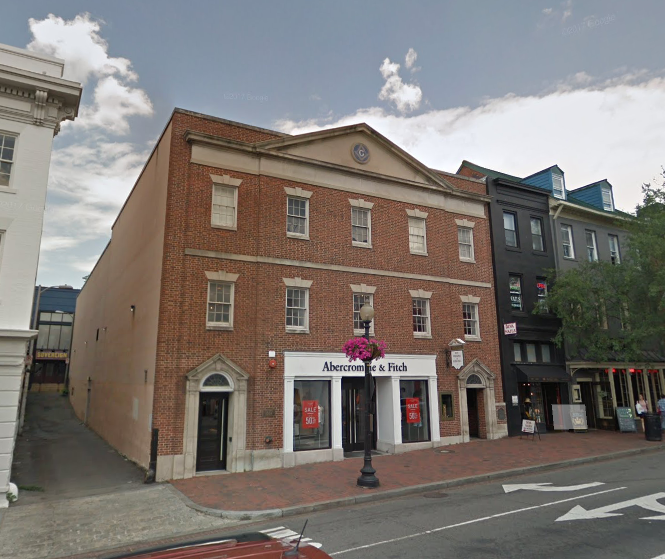 Only two other lodges, Alexandria-Washington No. 22 and Fredericksburg Lodge No. 4, participated. The nation-wide bicentennial anniversary for George Washington’s birth occurred in 1932. Historical scenes were reenacted including the reenactment, in costume, of the laying of the cornerstone of the U.S. Capitol. (See picture below) Among other events in which the lodge participated during this year were the dedication of the George Washington Masonic National Memorial at Alexandria, Virginia, May 12 and the reenactment of the raising of George Washington as a Master Mason in Fredericksburg Lodge No. 4, Fredericksburg, Virginia, August 4. 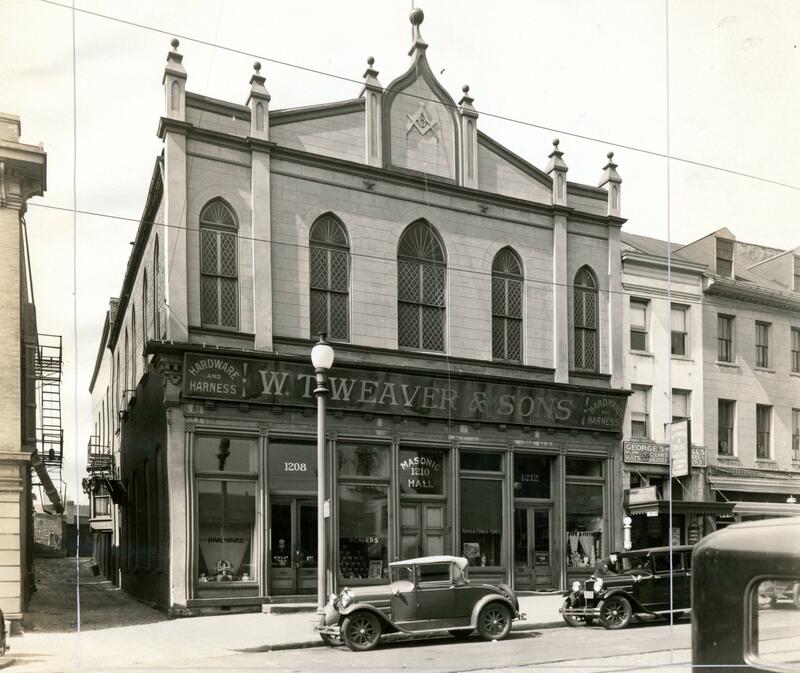 In 1939, Potomac celebrated their charter sesquicentennial observances by attending religious services at the Georgetown Presbyterian Church on April 16. Reverend and Brother ZeBarney Philips, Chaplain of the United States Senate, delivered the evening sermon. The lodge held a special banquet on April 21st where Grand Master of Maryland John H. Hessey returned the original 1789 charter to Potomac. 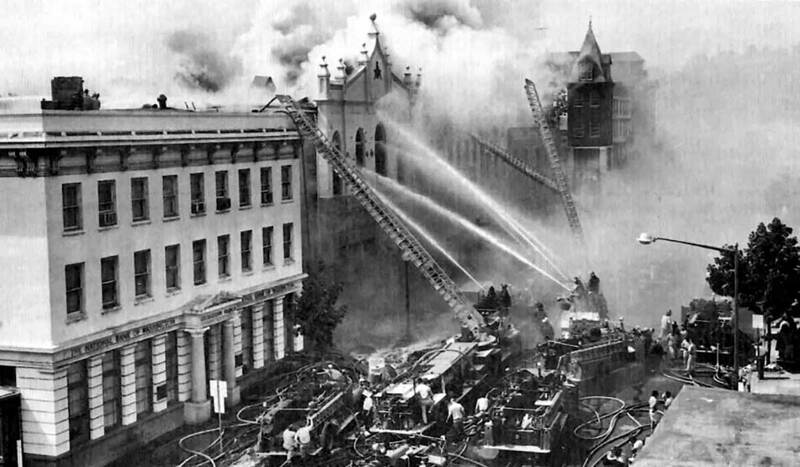 On July 7, D.C. firefighters responded to a major fire that had erupted in the old Georgetown Masonic Hall. By the end of the day, the building had burned down and hundreds of masonic relics including priceless jewels, charters, documents, and furniture including personal mementos from George Washington’s visit to Lodge No. 9 were lost. Miraculously, several rare and important documents including the George Washington Gavel, the St. Andrew’s Bible, and the entire collection of minutes were spared. The hall was rebuilt two years later.